Now we will configure each iteration to replay with different browsers. 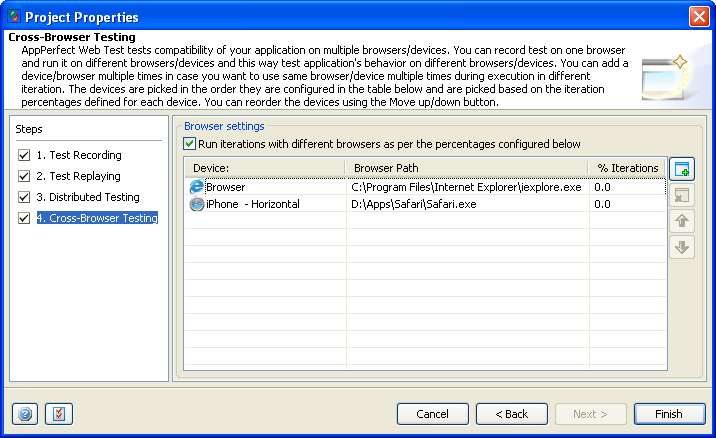 Select "Cross Browser Testing" from the left pane in the wizard. This will show the Cross Browser Testing tab where we can configure all the browsers with which test should be replayed. 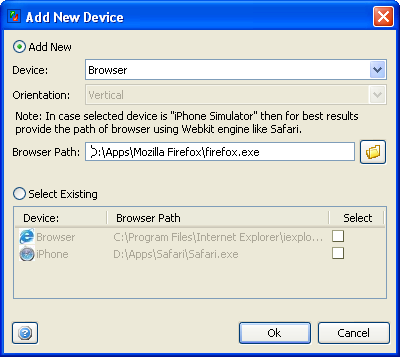 By default we can see Internet Explorer and iPhone already configured with % of iteration as 0. We will add Firefox and Chrome to this list and configure % for each of them. 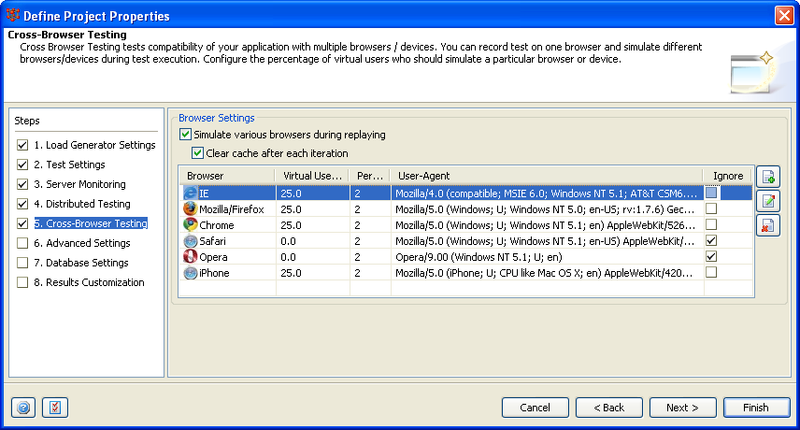 Select the checkbox "Run iterations with different browsers as per the percentage configured below". AppPerfect Load Test can help you test behavior of your web application on server side when application is accessed from different web browsers. AppPerfect Load Test supports Load testing for Web applications using HTTP protocol and can be configured to simulate the HTTP requests from different web browsers. Web Server identifies each client by way of User-Agent string. When Internet users visit a web site, a text string is usually sent in the HTTP header field "User-Agent" to identify the client application. Web applications often include code to detect client version to adjust the page design sent according to the user agent string received. Web application may be designed to work differently for mobile Internet user and PC based Web browsers. 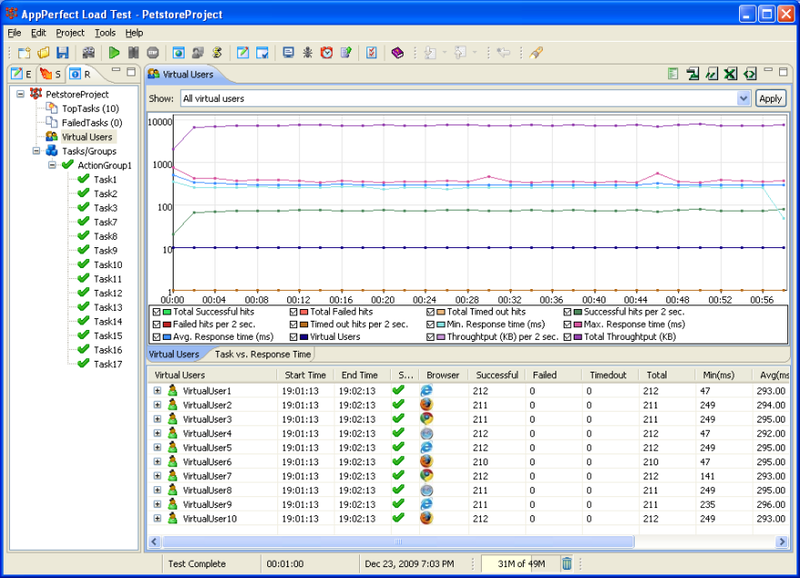 AppPerfect Load Test supports execution of HTTP requests with different web browser clients. 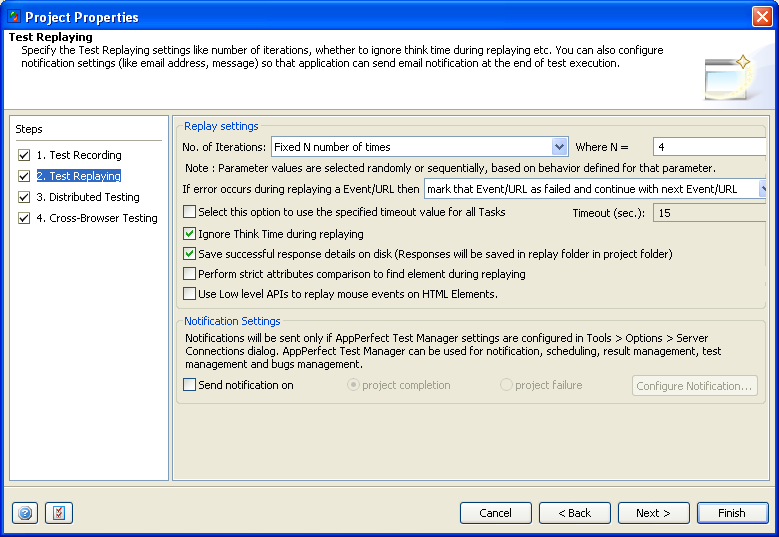 To configure test for Cross Browser testing, Select Project -> Properties.. menu option. This will launch the Project Properties wizard. 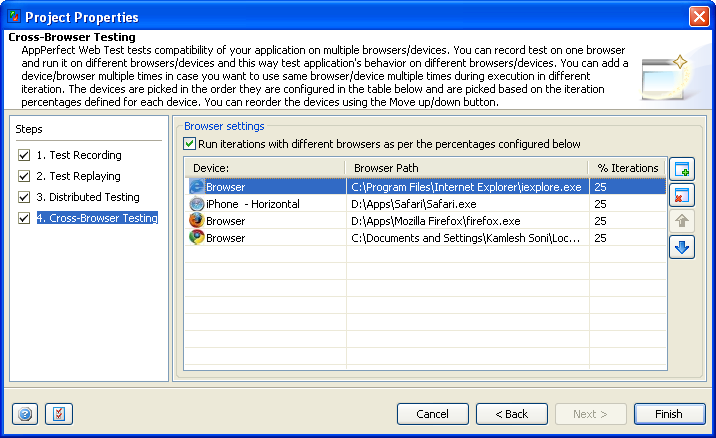 Select the "Cross Browser Testing" step. Here you can configure % of virtual users which should be simulated for each of the client. Load Test provides support for Internet Explorer, Mozilla/Firefox, Chrome, Safari, Opera and iPhone. This list is user configurable and you can add any new custom User-Agent / client to this list using the button provided on right. To simulate requests from different web browsers you can edit the list to include required web browser/s and provide appropriate % of Virtual users which should be used to simulate requests from that browser. Refer to the image below showing the Test configured for 25% Chrome users, 25% Internet Explorer users, 25% Firefox Users and 25% iPhone users.